CARLSBAD — Once again, the Lancer Dancers are queens of the hip-hop world. 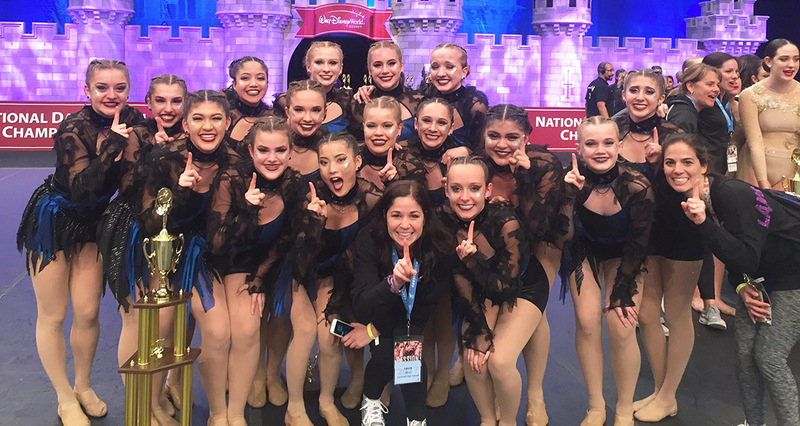 The Carlsbad High School team shredded the competition on Sunday to claim the Universal Dance Association (UDA) national championship at Disney World in Orlando, Fla. Competing in the Medium Division, the Carlsbad girls broke Westmoore (Okla.) High School’s three-year stranglehold on the hip-hop title, CHS coach Laura Nares said. CHS also took third in the jazz competition matching its finish last year in the division. In addition, the Lancer Dancers were without their lone senior, Delena Cruz, who was injured. Despite missing the talented dancer, CHS put down a winning performance on the backs of seven juniors, five sophomores and three freshmen. Carlsbad has long been a powerhouse in dance, as the Lancer Dancers have gobbled up nine UDA national titles, two USA Dance championships and one world title (last year) since 2001. Despite the injury, Nares said Cruz acted as an assistant coach during the five-day trip to Florida. As for the seven rookies on the squad, Nares said mental preparation was key in establishing confidence and executing the routines. Nevertheless, the bright lights on the biggest stage presents another obstacle routine training cannot replicate. Of course, the Lancer Dancers have little time to soak in their national championship. The girls got back in the practice room this week to prepare to defend their title at the USA Championships next month in Anaheim. Ella Pines, Rachel Whitehead, Lindsay Foster (captain) Delena Cruz (co-captain), Sherrie Yasukochi (co-captain), Eliza Cervantes and Samara Anderson. Looking ahead, though, Nares has a loaded squad returning next year as only Cruz graduates.